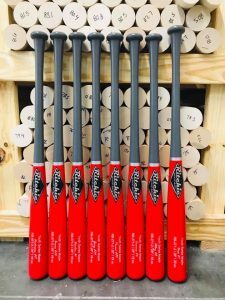 Fastest turnaround on custom bats in the industry! BAT IN HAND in 14 business days or 7 business days when you select the Rush option! 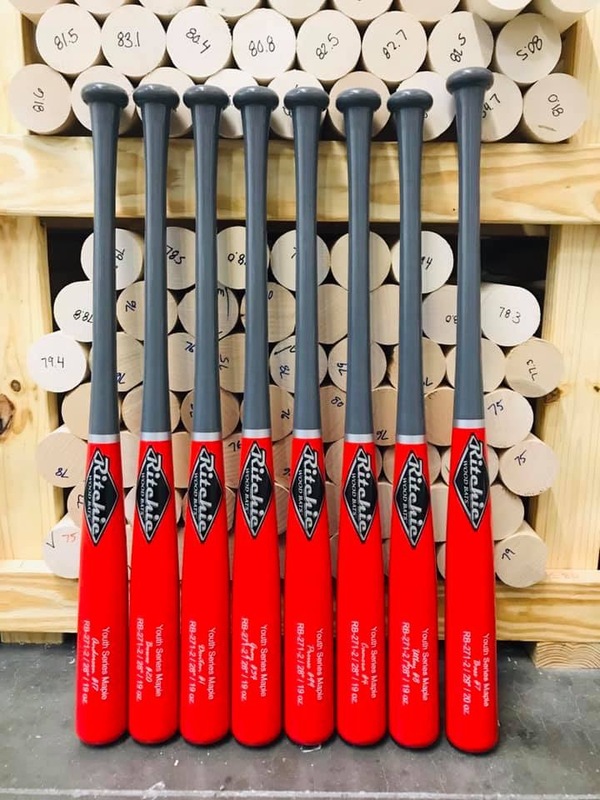 Established in 2014, the Ritchie Bat Company is committed to providing you with the highest quality custom maple and ash bats at the most affordable prices. When you order a Ritchie bat, you are not only receiving top grade wood, but also a one-of-a-kind bat with customization that is unmatched anywhere in the market and unique to you alone. All Ritchie Bats are grain compressed (boned) to ensure the hardest hitting surface possible. Every Pro Series maple bat we make is ink dot tested to display the slope of grain and comes from only hand-split billets, meaning that nothing is cut cross grain. Often, logs that are produced at a sawmill are sawn across the radial and/or tangential slope of grain, weakening the bat and making it vulnerable to dangerous breaks or multiple piece fractures. Because the tangential grain is difficult to see with the naked eye, it is commonly overlooked. When wood is hand-split, it naturally follows the tangential grain instead of forcing the cut with a saw, strengthening the bat and all but removing the chance of a slope of grain failure. When you receive your order from the Ritchie Bat Company you can rest assured that your bat was made with passion, pride and confidence.